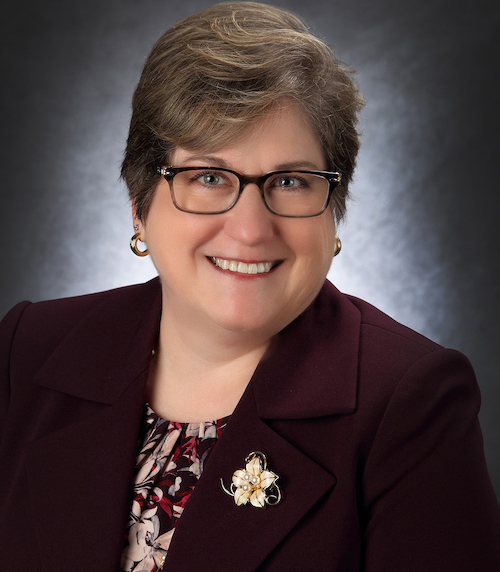 Walsh University has named Judy Kreye, Ph.D., as its new Dean of the Byers School of Nursing, effective immediately. Dr. Kreye had been serving in the role of Interim Dean since July 1, 2018, following the retirement of Dr. Linda Linc. “In a time of transition, Dr. Kreye has led the School of Nursing through site visits from the Commission on Collegiate Nursing Education and the Ohio Board of Nursing,” said Walsh Provost and Vice President for Academic Affairs Douglas Palmer, Ph.D. “I am confident that Dr. Kreye will continue to lead her team of dedicated and outstanding faculty and staff to an even higher level of excellence in the years to come." Dr. Kreye joined the Walsh University faculty in 2007. Prior to her role as Interim Dean of the Byers School of Nursing, she served as the Director of Graduate Nursing Programs and Associate Professor of Nursing. Dr. Kreye has advanced nursing certifications as a Women’s Health Nurse Practitioner and Nurse Midwifery in addition to her Ph.D. from Capella University. In addition to her extensive academic and professional achievements, Dr. Kreye is a veteran of multiple Walsh Global Learning trips and led the University's first nursing programs to Tanzania and Haiti to explore the state of healthcare and nursing education abroad. During these programs, participating nursing students and faculty work alongside the local nurses in each country in a practical, cross-cultural experience. Dr. Kreye highlighted the success of these programs in two professional papers published and written in collaboration with Walsh’s Director of Nursing Research Dr. Sharon Black, titled “The Global Psychometric Evaluation of the Clinical Skills Self Efficacy Scale in Moshi, Tanzania,” in Nursing Education Perspectives, (May-June 2015) and the 2013 article in Nursing Forum, “A Global Service Learning Experience for Nursing Students in Tanzania: A Model for Collaboration." Dr. Kreye was also instrumental in securing the HRSA Advanced Nursing Education Federal Grant for $600,000 that was awarded to Walsh University in 2015. Dr. Kreye earned her B.S.N. from Kent State University, her M.S.N. from Virginia Commonwealth University-Medical College of Virginia, Nurse Midwifery Certificate from Case Western Reserve University and her Ph.D. from Capella University.